Come visit Belle Haven Shell in Alexandria! We are proud to specialize in Auto Repair and maintentance. As the premier auto repair shop in Alexandria, our highly-trained automotive mechanics take great pride in supplying: Engine Repair, Brake Repair, and Auto Electrical Repair,. In addition to all of our automotive repair service, we are a Virginia State Emission Inspection Station. Each of our reliable specialists undergo extensive automotive repair training to meet all your auto repair needs. The maintenance experts of Belle Haven Shell have been honored to serve Alexandria for the past 27 years. Being an Emission Inspection Station does not limit our auto repair specialties, we also provide a long range of other auto repair services listed on our services page ranging from Engine Repair, to Auto Electrical Repair. Our auto repair experts have built our reputation by providing consistently superior service here in Alexandria.We will help you follow your manufacturers maintenance schedule. We will never sell you anything that your car does not need. You can keep track of your service history online. This is our commitment to you. No matter what your vehicle needs, come see us at Belle Haven Shell today! 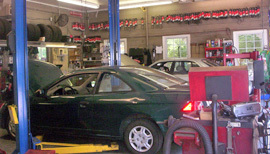 From Brakes to transmission to engine work, we are the best one stop auto repair shop in Alexandria. We provide trustworthy, fast, reliable, and quality work at the right price. Dont just pass through; come see us for any of your auto repair needs. "I have used them for a few years now. Excellent service. I have never had a problem with a repair and the prices are reasonable. Everyone at the shop is personable and helpful." "I have had very good service here. I buy all my gasoline here, and it is very nice to be recognized by the staff. I have asked for some special service, since I am a widow and not that able to know all the ins and outs of my car. They are always friendly and make me feel I have that part of my life, my car maintenance, in good hands. it really means a lot ..."
"Recently took car in for check engine light and AC not getting cold. They diagnosed check engine light to gas cap/seal need replacing, and after checking for leaks and cleaning AC, works good as new! I highly recommend Belle Haven Shell." "I've been going to this gas station for the last 20+ years - always owned by the same people. They always give me good service at a fair price." "Took my car in to Belle Haven Shell for a state safety inspection. It failed because the car needed new brake pads all around and a headlight adjustment (it wasn't pointing straight). They quoted me $445 to make these repairs. Although this seemed a bit steep, I came back the next day to get the repairs done. However, they now said it would be $599 because the back brake rotors now apparently needed to be machined -- otherwise I was warned the brakes would squeak. I went somewhere else and had the pads replaced for $250. No machining of the back rotors done but amazingly, despite this, no squeaking. I took the car back the next day to Belle Haven to finish the inspection -- asked them to adjust the headlight as necessary. They then told me the pin that holds the headlight in its housing was bent and they would have to remove the entire head-light assembly to adjust the headlight -- which would have been a really labor intensive (and expensive) undertaking. I asked them to put the headlight back as it was and I would have someone else look at it. They gave me the car back with the headlight at issue unassembled. So in their parking lot I put the headlight back into its housing myself. Then I took my car to another place to have the safety inspection done over from the beginning (another $16). Wouldn't you know that it passed (including the headlight). Will never go back to Belle Haven Shell for anything." "ALways great service. I have an older car that they take excellent care of for me." 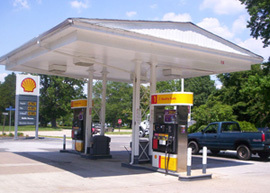 "Belle Haven Shell has provided our family's auto service our entire Alexandria residency. All employees are stellar with knowledge, honesty and consideration for us. Without any reservation, I highly recommend Belle Haven Shell!!" "I can't say enough about this establishment. The service is excellent and everything is always completed in a timely manner. In addition, the people who work there are kind and trustworthy. I highly recommend Belle Haven Shell to anyone!" "An honest repair shop that does excellent work!! You can believe it!! I've used Belle Haven Shell for years and years and I won't go anywhere else. They are totally straight up with repairs, pricing and customer service. I should have written a review long ago." "I would tell them there's no where else I would take my car. The entire staff are friendly, knowledgeable and honest to a fault! They have saved me hundreds or possibly thousands of dollars that I would have spent at a dealership being ripped off. I trust them completely. They are close to my house and always willing to help, regardless of whether the issue is big or minor. Love these people!" "I was impressed with the customer service, which was both efficient and friendly, and the speed of the mechanics in conducting safety and emissions testing and servicing my vehicle. I'll definitely be back." "I like their honesty and the fact they don't try to sell things you don't need." "A friend referred me to Belle Haven Shell. My first visit was a few months ago. I'm new to Virginia & didn't know I needed an inspection done yearly. They took care of my vehicle & the inspection was done before I knew it. My second visit was because something was hanging from under my car that shouldn't be. The staff there are so friendly. As soon as they could they put my car up on a lift & found I was just missing a clip. The mechanic also pointed out that a had a puncture, that wasn't supposed to be there either. He explained to me how it could have happened & did not try to convince me to get it fixed. Instead he took the time to explain to me that the only thing it might affect is my A/C. Since it's only February, he recommended I wait until the weather is warmer to see if it really needs to be replaced. They could have made an easy sale. I wouldn't have know it didn't need to replaced right away. But instead, they have found a new customer that will bring her car there for service when ever it's needed. Thanks for not making me feel like a "dumb" female." "That you can completely trust Belle Haven Shell"
"I've been coming to Belle Haven Shell for years. The people there have always taken excellent care of my vehicle, and shown me the utmost courtesy. I have recommended this station to my friends, and will continue to do so." "The best service from highly skilled, honest and professional staff serving in all roles . I tell all my coworkers to go here. Mary Moseley"
"I would tell someone that the employees are very friendly and the service was very professional." "You will be treated fairly by professional people who charge reasonable prices." "Very honest, thorough, and efficient"
"Very good. I've been going there about three years"
"Very good so far. I have been going there about 3 years." "I found them courteous, fair, honest and competent. I am regular gas customer and this was the first time I had them work on my car. Based on today's experience I plan to use them again in the future." "I would recommend them highly, and I have done so in the past. Seif and his team are diligent in finding the problems, stick with jobs even when they are complex, and communicate very thoroughly with the customer." "The station is run by honest mechanics that only do the work that is necessary and don't try to sell you things you don't need. I appreciate the way the same people work there year after year." 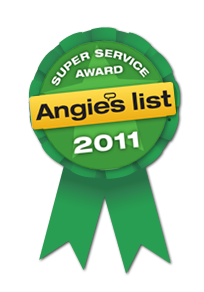 "The service is excellent, pricing is decent and repairs are done right the first time. There are no suggestions for unnecessary repairs." "It's the best. Fair and honest. Do great work." 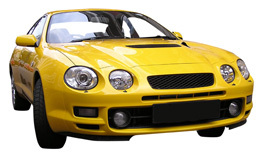 "Belle Haven Shell is my first choice for any repairs or service that I need on my car. I have always received great service." "They do a good job and can compete with factory service for any job!" "Belle Haven Shell's staff is attentive, honest, friendly, and they are good at resolving problems fairly, and the work is thorough. They are very accommodating and always do their best to fit me in when I need work done. Because they are trustworthy and they have excellent workmanship, I am confident that my car will stay in good operating order for a long, long time." "The shop has very professional staff, a wide variety of services, reasonable prices and punctuality. I specially enjoy the fact that the staff is very stable: that means you can have your own mechanic for years, at the prices of a gas station." "They did Good work on my German cars. I will use them again"
"Very responsive and knowledgeable. I had an immediate need to repair my car before leaving on vacation. They were able to expedite my repair, diagnose the situation, and make the repair in less than an hour. They saved my vacation! They did not recommend repairs that weren't necessary." 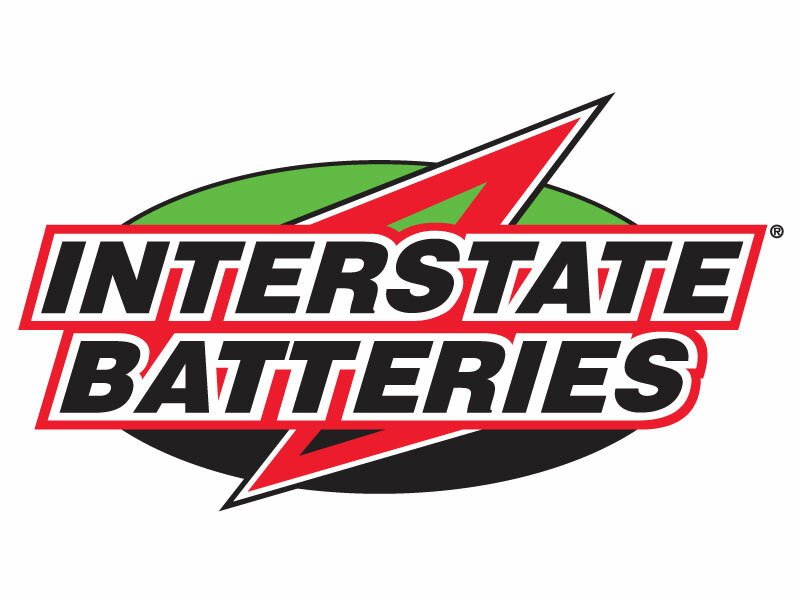 "This is THE place to go if you want a reputable service station to service your automobile. They will treat you fairly and never do unnecessary work. You'll like the people there who are friendly and knowledgeable." "The service and quality of work were excellent. They were able to diagnose my problem, order the necessary part and get my car back to me within 24 hours, all for a very reasonable, competitive price. While I have normally taken my car to a shop that specializes in VWs about 15 miles away, this was an emergency and I needed a shop within my neighborhood. I have had extensive dealings with Belle Haven Shell with my previous, problematic car and they were extremely honest, decent and went the extra mile to come up with less expensive repair options when possible. I definitely trust Belle Haven Shell and will now need to reconsider whether it's worth it to continue with a VW specialty shop. Also, when I needed this repair, I was talking about it to several friends who also have the same impression of Belle Haven Shell. I'm not the only one." "It was the best service." "On two separate occasions, I brought my car in for service and was not charged for work that I approved. Once, for a tune-up; the second time, to replace a catalytic converter. The former after a quick inspection I was politely told I that I didn't need a tune-up and was called and told to come pick up my car. The second time, I brought my vehicle in for an emissions test. I was initially told it failed. And that I needed a new catalytic converter. Later, Seif the manager informed me the emissions test data had provided a false positive reading. Meaning, the converter was fine. I paid my $28 and was on my way. I can't speak for others, but I can say it's refreshing to know businesses still exist where competent, experienced employees work hard, treat customers like family, and do their jobs with integrity."